The celestial vibes of the Chinese Mid-Autumn Festival, to be celebrated on Sept. 24, have started to settle in as mooncakes come into light in many shops and restaurants. Mooncakes, a rich, round, and traditional delicacy, are shared by Chinese communities with their loved ones and friends in honor of the traditional harvest festival. Considered as the second most celebrated event in China after Chinese New Year, the Mid-Autumn Festival is commemorated on the 15th day of the eighth month of the Chinese lunar calendar, when the moon is believed to be in its biggest and fullest form. It is rooted in the more than 3,000-year-old belief of ancient Chinese emperors that the completeness of the full moon symbolizes unity, harmony, and prosperity. 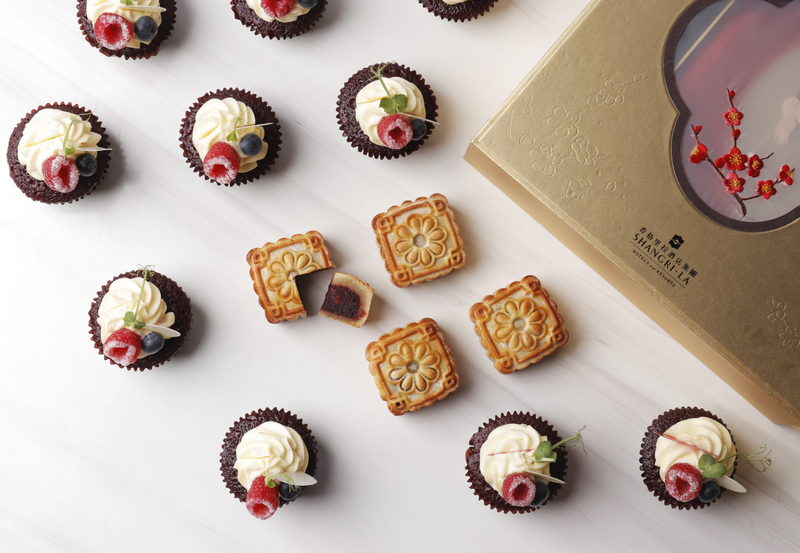 Canton Road puts a twist to the traditional lotus or sweet bean paste fillings with its miniature mooncakes. Its flavors include the Flaky Pineapple, White Lotus with Salted Egg Yolk, Flaky Red Bean with Pine Nuts, Mixed Nuts, Red Velvet, and Black Forest. 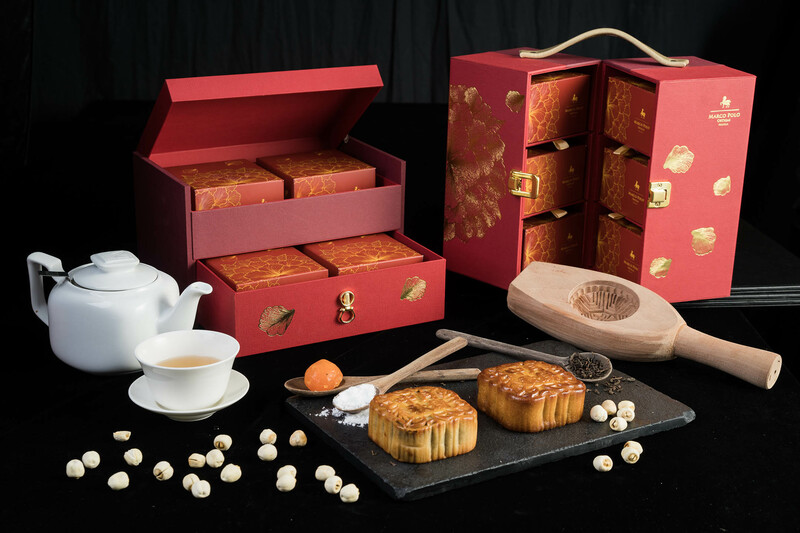 The mooncakes are sold in boxes customized by the Shangri-La Hotel. Guests may buy individual mooncakes at the restaurant’s counter. Mooncakes in this hotel are imported directly from Hong Kong. Sold in stunning gift boxes, the delicacies are pressed with a design inspired by traditional oriental flowers. It is sold in two boxes: a set of four pieces called Plum Blossom and a set of six called Peony. Chefs prepared these intricately-designed, handcrafted goodies in four distinctive flavors: White Lotus, Red Lotus, Red Bean, and Five Seed. 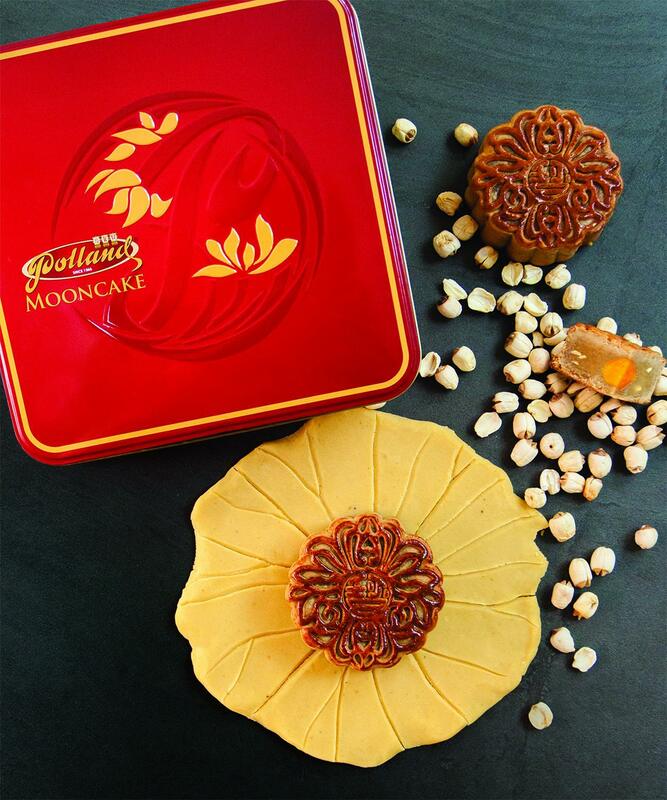 The mooncakes are packed in an elegant, ruby-colored box that can be customized with a logo to add a personal touch. Popular deli shop Eng Bee Tin offers premium mooncakes filled with a variety of flavors: pandan, ube, black and white mongo, chocolate, langka, and mixed nuts with ham, among many others. 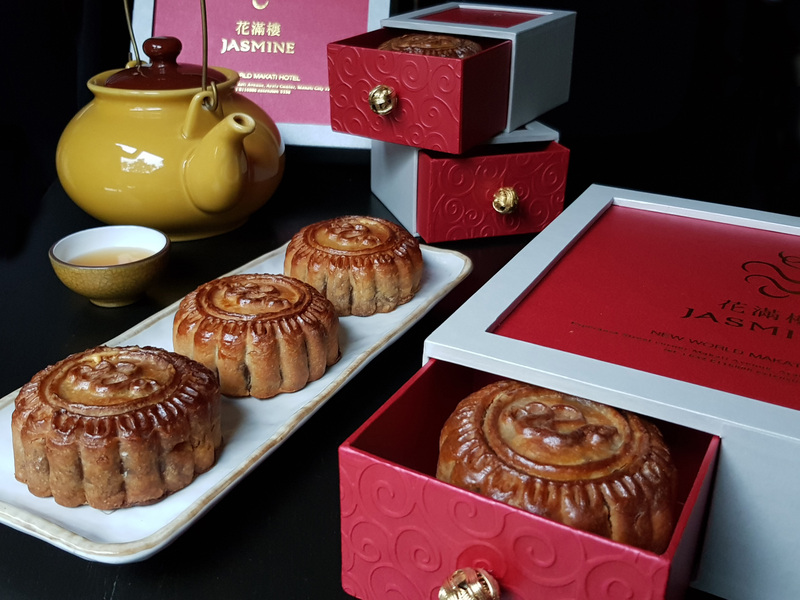 They are also offering mooncakes served Taiwanese-style with layers of flaky pastry wrapped around the delicacy, emphasizing its round shape. Aside from their bestselling hopia, this store is also known for their savory mooncakes sold in tin red cans. 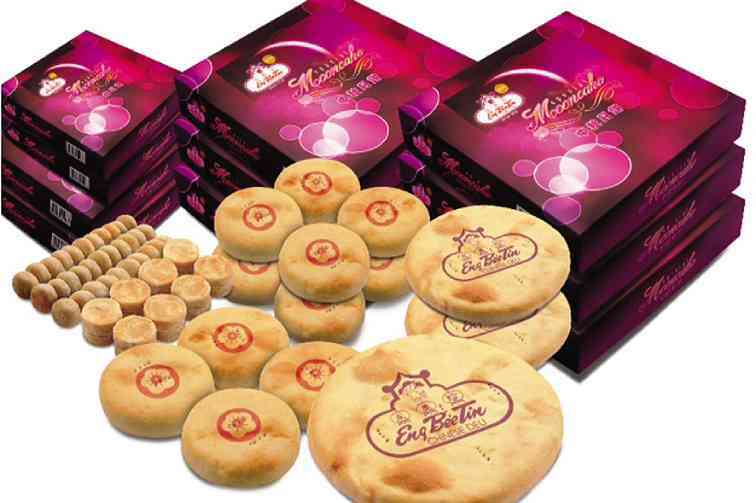 Fillings of Polland Hopia’s mooncakes vary from yellow mongo and black mongo to lotus seed and mixed nuts.